Jason started archery with his close friends at a lesson at the Stevens Creek Archery Range in Norcal the summer before he entered UCSD in 2013. After enjoying the experience, he found the beginner workshops held by SGA, and after attending that and the first GBM, decided he would join the club! Although he was enrolled in a beginner class that quarter, he actually never attended because he enjoyed shooting with the club so much more! From then to now, he has become the most decorated person in SGA history with over twenty titles, currently holds almost all of the SGA male recurve indoor club records and all of the male recurve outdoor records, and currently sits with Kaitlyn Huang as the Mixed Recurve National Collegiate Champion. He finished saying “I’m grateful that I had the opportunity to be a part of SGA and collegiate archery, and that I got to meet every single person I did through archery. While there have been many ups and down, and I have a lot of white hair now because of the club haha, it has provided me with an immense amount of experience, has brought me many lifelong friends, and has definitely been a defining piece of my time in college that I wouldn’t want to trade for anything. Now that he’s graduated, Jason is working for Easton Foundations at the Easton Archery Center of Excellence in Chula Vista while waiting to hear back from his application to the Resident Athlete Program there! 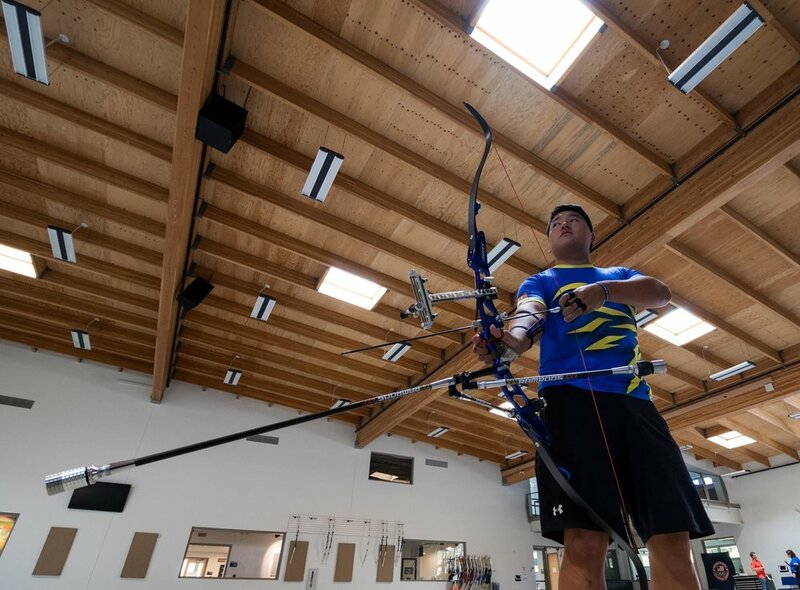 If he makes it, the program provides the opportunity for archers to become professional athletes who train full time for the Summer Olympic Games! He also hopes to continue being a part of the club as a coach to train new athletes and support the team at competition! We wish Jason the best in getting into the program and expect to see him at the 2020 Tokyo Olympic Games!